What’s Behind Wall Street’s Secretive Biofuel Credits Market? What he should do is replace ALL his hoses with yellow hoses and sell away. Can't BUY a yellow hose, paint it already. Heck, shrink-wrap it with yellow SW. This is a simple story about a whiner who thinks the world revolves around himself and his little gas station. Good I say, I don't want any E fuel in my car. It destroys engines, 02 sensors, the CAT and only makes farmers in the Midwest rich. Growing corn is the worse way to Produce Ethanol, suger cane or even sugar beat. Also the corn growing cost more in resources then the amount of oil saved and lastly farmers can not obtain feed corn for their cows causing beef prices to rise. E fuel is a bad deal and just another boondoggle government mandate. The ethanol mandate is one of the most environmentally destructive, and pork-bellied laws the United States has seen. Not to mention, it functions as a regressive tax on the poor (more allocated corn ethanol==less food supply allocation). The American people have the agricultural lobby to thank for this gem. 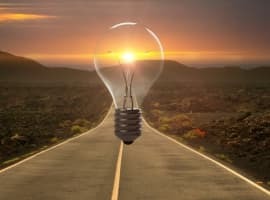 The repeal and reinstatement of the free market in this market would help to lower gas prices and put money back into the struggling American consumer's pocket. China is using so much Methanol, so why not USA use more Ethanol, in Brazil all the gas sold has 25% Ethanol and those vehicles are running just fine. Oil companies know that they cannot compete with Ethanol on price, so they are using pressure tactics. This is a non-problem and it is hard to believe it is being written up in this way. First, as you note at the end of the article, no-one wants to pump fuel that could harm their vehicle whether diesel or E-15. So, the use of a 'yellow' (or any other color) hose is reasonable to prevent an avoidable mistake and therefor is an aid to the consumer who is not always careful or aware. What is the real problem! So with 15% ethanol we can get even worse gas mileage from our gasoline designed cars, great. Either design a car to run the fuel and take advantage of the octane it has or forget it. Same with methane, it would be great in a car designed for it. Not a "flexfuel" vehicle that will get 25% less mpg running it. Stop blending it. Stop the "summer"/"winter" blends too. Ever wonder why you get 20% worse mileage in the winter? Yeah that's the gas mixture, not the cold air or whatever else people say. In Chicago I hear big oil has gasoline selling for about $4.50 a gallon. Interesting that ethanol sells for only $2.30 a gallon wholesale. So if you can't beat ethanol on price, than kick them out of the game by golly! Can't wait tell big oil gets the price to $4.50 a gallon everywhere. I fear this argument has nothing to do with engines or warranties or milage, but has everything to do with kill the competition at any cost so we call all pay big oil $4.50 per gallon. I'm I wrong if I take this as being a spoof? I mean, why wouldn't I want to know if I'm putting a fuel in my car that would damage it and void the warranty? My point is that I believe the anti ethanol issues raised, are in fact way over played. I have used elevated ethanol blends in my car with no problems. 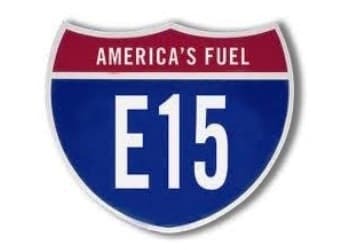 The EPA (not some light weight organization), has tested, and tested, and tested the E15 blend for usability and compatibility with the existing car fleet. If the EPA would have found any issues, I believe they would not have approved the fuel. No one is forcing anyone to use E15, it's all about allowing the fuel to be offered as an option to consumers, just like regular, mid grade and premium are offered but not forced on anyone. I think the real issue here is that the "ethanol mandate" has replaced about 850,000 barrels of gasoline use per day in the US. This is a very significant number if you manufacture gasoline or produce crude oil. Ethanol makes the gasoline market pie smaller and creates a gasoline surplus that helps hold down the price of gasoline. In Chicago where there is a current gasoline shortage, the price is about $1.25 more per gallon than what I pay where I live. Dollars and cents I believe are the real issue here, hiding behind all the anti ethanol hype we hear. If you really trust big oil to watch your back, well, just remember to keep your hands up in the air. The author is a moron. Yellow hoses exist. Corn based ethanol is a boondoggle designed to put a floor under corn prices. Sugar beets and other high sugar plants would be better, but 90% of the ethanol produced is mandated by statute to come from corn. All other sources combined have to be produced out of the remaining 10%. The "Archer Daniels Midland" full coffers law? The gov't mandate stems out of ethanol's use to replace another chemical formerly included in gasoline, but outlawed by the EPA. Reality 101: Big Oil will ALWAYS do what is best for Big Oil. For Example: The Oil Industry never voluntary took Tetra Ethyl LEAD out of Gasoline on their own, (no matter how harmful it was to you or the environment) they were forced to remove it by the EPA. The same is true for Ethanol, the oil industry will never offer this fuel on their own. (They fight it tooth and nail). Because - it is in direct competition with their business of producing oil and refining it into gasoline. The only way ethanol will ever be sold is if its use and thus availability are mandated by the government. That's the world we live in. 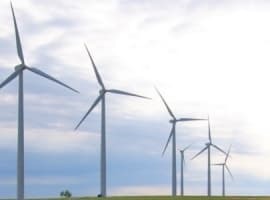 You don't need to look any further than the subject case in Kansas, where stations trying to sell E-15 are being hassled by their Big Oil supplier, to make it as difficult as possible. Reality 102: EVERYONE will always do what is in their own interests, including the ethanol industry. I've got nothing against biofuels. Ethanol in concentrations of more than 10% is hard on engines which have not been designed for it, but it's not terribly hard to design engines that will tolerate it reasonably well. But corn is not the best choice for an ethanol feedstock. We used to grow a lot of sugar beets up here in Western SD, but nobody grows them anymore, and the processing plants have shut down. This is pretty poor corn ground up here (125 bu/ irrigated acre is about it,) but it grew good sugar beets. I looked into reviving the beet industry and putting in an ethanol plant. I gave up. It won't happen under the current regulatory regime. Corn is king, even when it's not the best way to go. This has to be a parody of some sort. It's impossible to take seriously. I see all kinds of money being thrown into ponds, photo bio-reactors and the genetics of Algae. It's almost as if they want to find ways to make algae too expensive to compete with fossil petroleum. I have to wonder why is no one spending money on a way to harvest algae from the naturally available sources? With our lakes, rivers, ponds, reservoirs, swamps across the world choked with algae,in many cases to the point of toxicity, why not find a way harvest it for oil production? Terra resources R&D is developing technology to harvest algae from the wild, completely solar powered. This offers a two fold benefit, first harmful algae blooms can be harvested for oil, as a result the blooms are reduced and toxicity is averted. 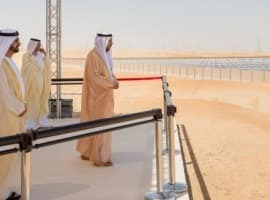 Second it will create a new industry and jobs harvesting algae, while contributing to our national energy independence. Please contact me if you are interested in this project.